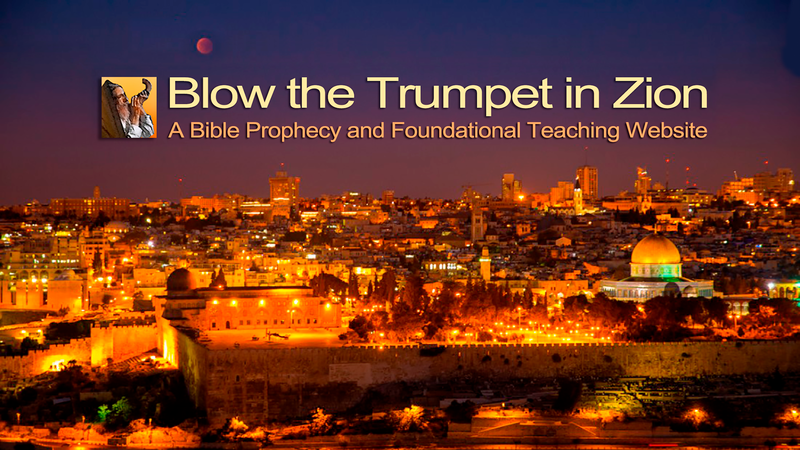 Now a generation in Israel in the time of the Lord Jesus was 50 years. In 1967 all of the city of Jerusalem fell into Israeli hands for the first time in almost 2,000 years. Jerusalem was no longer trodden under the feet of the Gentiles. Some would say that this has still not happened because of the issue concerning the status of the Temple Mount but the reality is that Israel is back in the land and Jerusalem totally in Israeli hands even though the Muslims control the Temple Mount. “This generation” that the Lord Jesus mentioned it would seem is the one that would be around during and after all of these things had been occurring on the earth. 1. The Jews are to return to Israel. In 1948 they started to migrate back to Israel and since then many more have immigrated back. Having said this many more are yet to come back and God is allowing Anti-Semitism in Europe and other western democracies to force His people back to Israel for the Time of Jacob’s trouble. Many are still yet to come. So the Lord Jesus cannot come back just yet. 2. Paul writing to the believers at Thessalonica clearly spoke about the end times in 2 Thessalonians 2 where he writes that the coming of the Lord, especially in relation to the rapture and resurrection, cannot happen until at least three things take place. Firstly, he mentions that there would be the final apostasy which we see happening today in ever increasing intensity and frequency. Secondly, he mentions the man of sin would have to be revealed to the faithful Church before they are raptured and resurrected. Thirdly; that the coming of the lawless one, the man of sin, the Antichrist, would be preceded by all kinds of counterfeit signs, miracles and wonders that would deceive many including professing Christians and this is a conspicuous feature in Christendom today. Every true and genuine born again child of God will be raptured and resurrected when the Lord Jesus comes back but not until the things that have been mentioned transpire. Many still hold to a pre-tribulation secret rapture and they say the faithful Church will not have to face the Antichrist because they will have been raptured out. However, scripture does not teach this, furthermore, if this was the case and Christians were not to have to confront the Antichrist and his beast empire, then who was Paul writing to at Thessalonica if the Church was no longer here? Even in his day there were those, while claiming to have apostolic authority, were telling the believers at Thessalonica that the rapture had already come and that they had been left behind. The believers at Thessalonika were suffering persecution do it was natural for them to feel somewhat disturbed and even shaken in their faith. Undoubtedly, Paul had not read the Left Behind series of books and movies by Tim Le Haye that have done more to promote the idea of a pre-tribulation secret rapture than any other source and made its author a lot of money! If you take a close look at 2 Thessalonians chapter 2 you will see that the gathering of the saints to meet the Lord at the rapture and resurrection is directly connected to and a part of the Day of the LORD which will see wrath and judgement, the rapture and the Second Coming of the Lord Jesus to earth, as sequential events, one following the other, that combined together are all part and parcel of the Day of the LORD. Yes we are going to be extracted out, rescued, raptured by a ‘spiritual caesarean’ but not until the things that have been mentioned have transpired. As we see the situation with North Korea and what is happening weatherwise around the world and especially in the Middle East and in other trouble spots we know that the whole world is a ticking time bomb that is not far from striking midnight when everything will change. I really like what the late David Wilkerson used to say; “God still has everything under control!” Also keep in mind that when these ‘birth pains’ or ‘contractions’ of spiritual deception, wars, famines, earthquakes, pestilence and persecution become more frequent and intense, we need to understand that the ‘birth’ of the visible Kingdom of God on earth is about to come. Yes this heaven and earth one day will pass away and there will be a new heaven and a new earth. The thing that will never change is that God’s Word will say the same thing as it said yesterday, what it says today and what it will say tomorrow. It will never change or pass away!